Visiting Ethiopia one time I had the pleasure of coffee with Ms. Sahle-Work Zewde, who was then Ethiopia’s Ambassador to the African Union. Ethiopia is the birthplace of coffee, and coffee is a part of the Ethiopian culture like nowhere else. It’s not surprising that making excellent coffee is a point of pride, but I learned that this is especially true among Ethiopian women when they serve coffee to their guests in their home. It’s not the pride of tossing a pod in your Nespresso machine–in Ethiopia you roast the beans in a pan over a charcoal brazier in the room with your guests. Then the coffee is taken out and ground in a mortar and pestle, then brought back and brewed in a traditional jebena — a clay pot. Three cups are served, usually while burning a bit of frankincense. We discussed the importance of local culture, and Ambassador Zewde shared her views on Ethiopia’s coffee culture. I was later able to offer her a bag of our Peace River Coffee. It was an Ethiopian coffee–of course– produced by Homacho-Waeno, a cooperative in the Sidama region. This was an export-grade coffee we purchased in the U.S.; it was roasted for distribution as a 90+ specialty coffee. There’s one of the cool things about coffee–there’s no “best coffee,” there’s no “right way” to make it. I know my roaster is highly skilled at what he does. I know he developed that coffee 25 seconds past first crack, then let it coast 15 seconds before dropping at 204 degrees C. I know every bean was roasted uniformly–no tipping, no scorching. But of all the cups of that coffee I enjoyed, I can only wish I had shared 3 cups of Ambassador Zewde’s re-roasted bag. 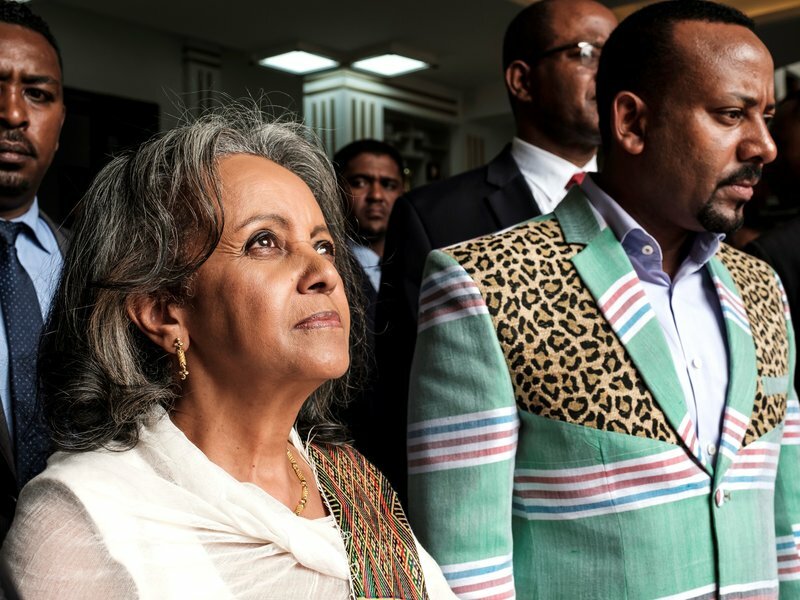 Last week she was elected President of Ethiopia–actually, the first female president of Ethiopia–now the representative of Ethiopian culture on the world stage. I know from our conversations that her skills extend far beyond her coffee-brewing capabilities. In fact, I’m not at all surprised at her new appointment, for I can think of no one who would bring more grace, dignity, and talent to the Ethiopian presidency. (And we know too well these qualities should never be taken for granted). But let’s face it–the ability to make an excellent jebena buna is not a bad qualification.